UPDATE 8:15 PM: Rockets forward Ryan Anderson -- a matchup problem for the Wolves because of his ability to stretch the floor with his shooting -- won't play again in Game because of a sprained ankle. A 45-minute drive past strip malls, refineries and pastures, Tomball, Tex., is Houston pro-sports country where they cheered the Astros' World Series championship last fall and plan to do so again if their Rockets parlay the NBA's best regular-season record into an NBA title. But not everybody, not today with Timberwolves All-Star and the pride of Tomball Jimmy Butler in town for a first-round playoff series. His English teacher Allie Pruett is a Rockets fan most years and most days. "I'm from around here so, yes, typically, I would have been a Rockets fan," she said, "but Jimmy's in town." So today at school she rocked a vintage Timberwolves t-shirt without feeling conflicted. Taj Gibson and Dwyane Wade accompanied Butler when Tomball High retired his No. 1 high-school jersey in February 2017. It hung in the sprawling high school's gymnasism this afternoon as students outside came and went from class without a second thought. Except for the teachers and staff who were around back when Butler attended -- Class of 2007 -- after a hardscrabble childhood on his way to junior college in Tyler, Tex., and Marquette University before he made it big in the NBA. Pruett paused a good couple counts and smiled when asked what kind of English student Butler was. "Just fine," she said. "He was an average teenager. He was a lot of fun to have in class, but was not as driven in the same way you see today." 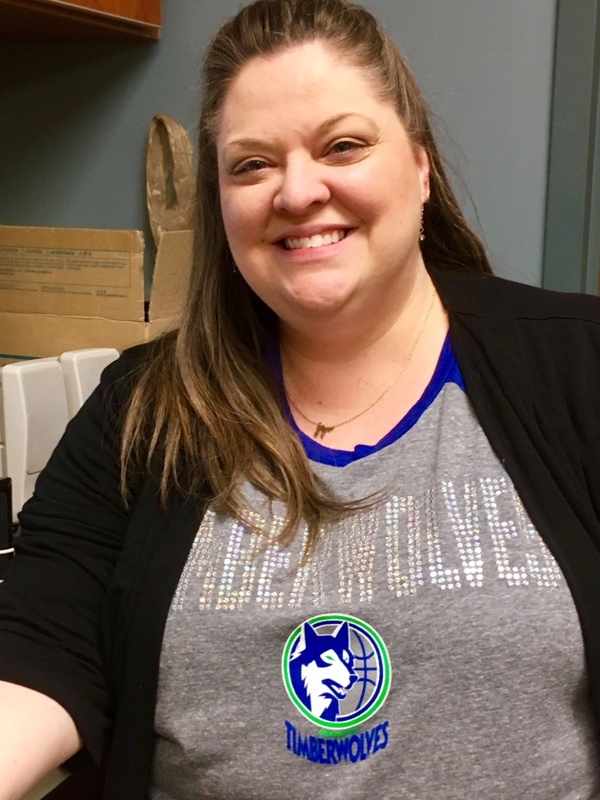 Tonight, Pruett, Tomball assistant principal Lisa Streat and other who knew him back then will watch Game 2 of the Wolves-Rockets series and at least one or two will be cheering for the visitors. With No. 20 pick in draft, will Wolves nab another Creighton player?